Every January, millions of Americans flock to gyms and fitness centers, resolving to get into better shape and live a healthier lifestyle. But, by mid February those resolutions fall by the wayside in favor more time on the couch or, God forbid, the golf course. Wouldn’t you rather spend the month of January getting an edge on all those folks going to the gym by putting in some serious (and seriously fun) work on your short game with a putting green of your own at home? With a synthetic putting green from Synthetic Turf International, you can get some much needed work on the most important part of your golf game, your short game, where you truly lower your scores. STI manufactures putting, chipping and target greens for installation in almost any area. Whether your backyard is nothing more than a small patio in the city, or a sprawling rural landscape , STI and our national network of skilled dealers can design a green that meets your needs and exceeds your expectations every time. 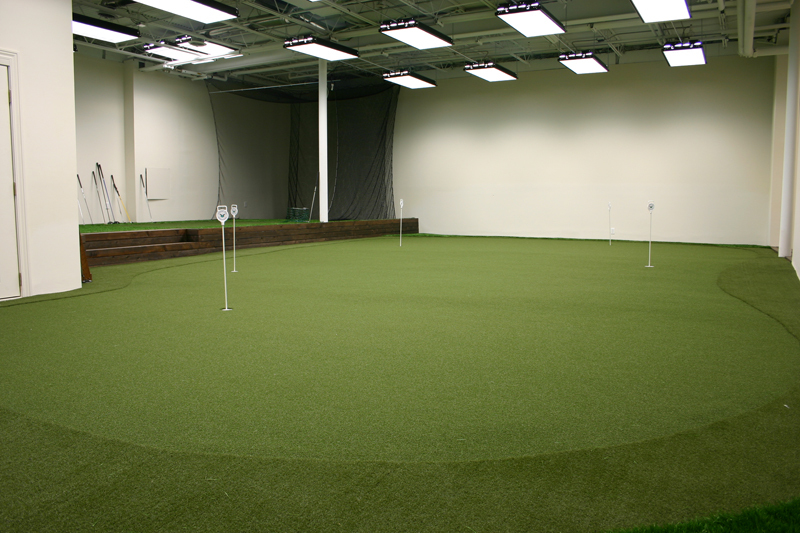 STI greens are also a practical addition to any golf practice facility, indoor or outdoor. Colleges and Universities have used STI greens in their practice facilities, as well as top teaching professionals and a Masters Champion. You can also find STI greens at PGA Tour Superstores locations nationwide. Synthetic Turf International manufactures and sells the most realistic synthetic putting surfaces on the market today. STI can provide a nylon green that rolls true at a speed of 10.5 feet. When infilled with ceramic sand, STI greens can roll true at speeds up to 14 feet. We can’t recreate the natural greens at Augusta National, but we can provide the closest synthetic putting surface to replicate greens like those found at Amen Corner or your local course, with stimp speeds, undulations and breaks as close to the real thing as possible. 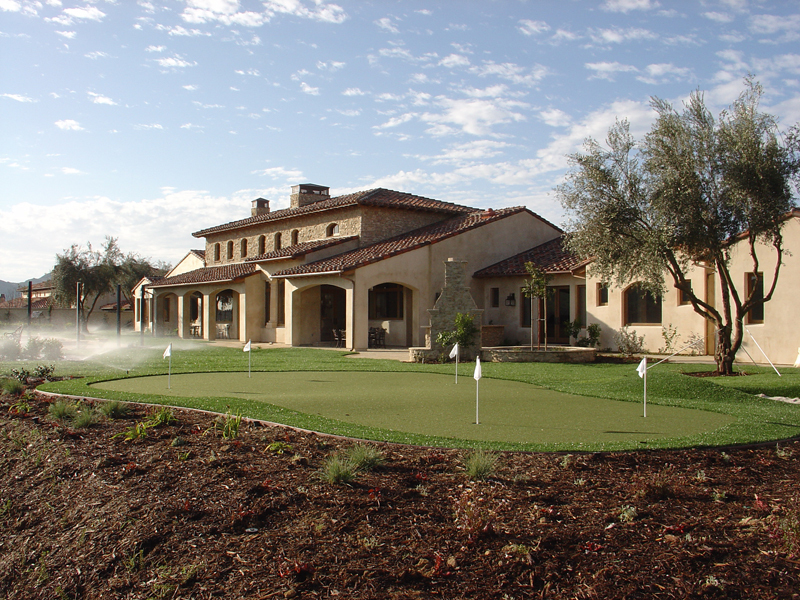 Our network of over 100 dealers can install a putting green that will meet your budget and exceed your expectations every time. 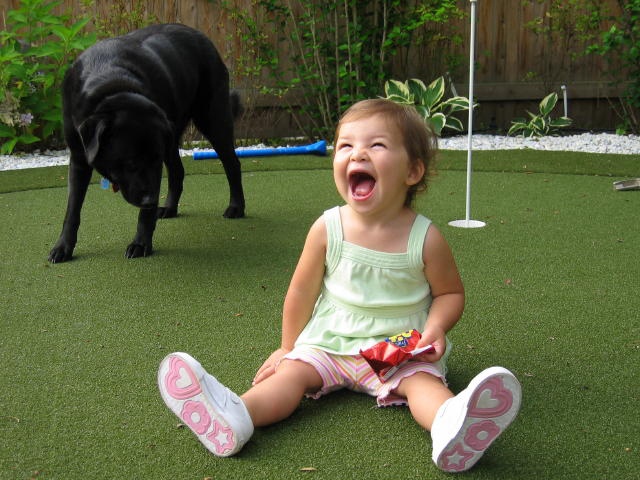 And a synthetic putting green in your backyard can be fun for the whole family. Visit our application page for more information, browse our gallery for ideas and contact Synthetic Turf International to Experience A Greener World…and a better short game.